Jim is an experienced trial lawyer who primarily represents companies threatened by business-critical lawsuits, including class actions and mass actions. 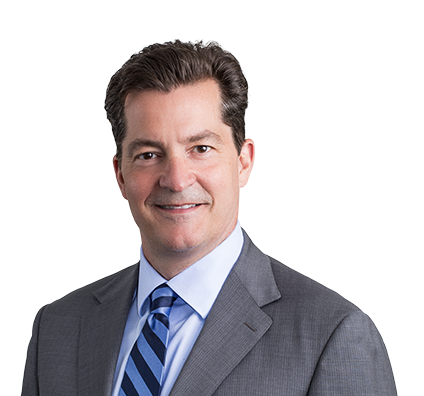 He also focuses his practice in the area of trust, estate and fiduciary disputes, representing clients in complex controversies involving claims of breach of fiduciary duty, fraud, undue influence and conflicts of interest. Lead trial lawyer for Express Scripts, Inc. in confidential arbitration proceeding before the American Arbitration Association (AAA). The case was related to the high-profile business dispute between Walgreen Co. and Express Scripts. Express Scripts Inc. v. Walgreen Co., American Arbitration Association, Case No. 51-193-Y1144-11. Successfully prosecuted professional negligence case on behalf of The Kansas City Southern Railway Company against the designer of certain concrete railway bridge girders which were installed on KCSR’s railway line in Texas. The Kansas City Southern Railway Company v. Design Nine, Inc., Case No. 44,824 (Wharton County, Texas Circuit Court). Defeated motion to certify nationwide class of consumers who alleged that their automobile was wrongfully repossessed in violation of the UCC. General Credit Acceptance Company v. David Deaver; Cause Number 11SL-CC2888-02 (St. Louis County Circuit Court).